The Church is One, Holy, Catholic, Apostolic, and Roman: unique, the Chair founded on Peter ... Outside her fold is to be found neither the true faith nor eternal salvation, for it is impossible to have God for a Father if one has not the Church for a Mother. If any man be outside the Church, he will be excluded from the number of sons, and will not have God for Father since he has not the Church for Mother. Consider, therefore, that whoever is not in the peace and unity of the Church cannot have God. This Church, thus marvelously founded, assuredly could not cease with the death of its Founder, nor of the Apostles who led the way in its propagation, for to it the commission was given of bringing all men to eternal salvation: all men, without distinction of time or place ... Now, no one is in this One Church, and no one perseveres in it unless he acknowledges and obediently accepts the power and authority of Peter and his legitimate successors. He Who reigns on high, to Whom is given all power in Heaven and on earth, has entrusted His Holy Catholic and Apostolic Church, outside which there is no salvation, to one person on earth alone, namely: to Peter, the Prince of the Apostles, and to Peter's successor, the Roman Pontiff, to be governed by him with the fullness of power. Neither sanctity nor salvation can be found outside the Holy, Catholic, Apostolic, Roman Church. Before everything else, fidelity to the Church: One, Holy, Catholic, and Apostolic. Jesus did not found several churches, but one single Church. As a sacrament of intimate union with God, the Church is in Christ, outside Whom there is no salvation. He who is separated from the Catholic Church will not have life. It is a sin to believe that there is salvation outside the Catholic Church! If any man does not enter the Church, or if any man departs from it, he is far from the hope of life and salvation. What is the road which opens for us the way to Jesus Christ? ...The answer, valid yesterday as it is today and for all time to come, is: the Church. There is only one universal Church of the faithful, outside of which no one at all can be saved. It is necessary for each individual to become a living part of the Church ... to face even death so as not to lose the faith ... Whoever does not preserve the faith of the Father and the Son does not have life and salvation. The holy universal Church is one Body, constituted under Jesus Christ its Head ... Therefore, Christ, with His whole Church, both that which is still on earth and that which now reigns with Him in Heaven, is one person ... Therefore, the Apostle says: "from Whom the whole body being compacted and fitly joined together makes increase of the body" (Eph. 4: 16). This is that Body outside which the Spirit does not give life; wherefore, St. Augustine says: "If you would live by the Spirit of Christ, be in the Body of Christ." Of this Spirit the heretic does not live, nor the schismatic, nor the excommunicated, for they are not of the Body. In Holy Mother Church lies all hope of eternal salvation ... If anyone is outside the Ark of Noah, he will perish in the overwhelming flood. The Church is rich with heavenly doctrine ... sailing like a ship on the high seas of this world, preserving those who come to her safe and sound, while the world outside perishes. We are compelled in virtue of our faith to believe and maintain that there is only one Catholic Church, and that one Apostolic. This we firmly believe and profess without qualification. Outside this Church there is no salvation and no remission of sins ... For at the time of the Deluge there existed only one Ark, the figure of the one Church. And we read that all things existing upon the earth outside this Ark perished. We believe with our hearts and confess with our lips but one Church, not that of heretics, but the Holy, Roman, Catholic, and Apostolic Church, outside of which we believe that no one is saved. This is the faith of the Catholic Church out of which no one can be saved. Therefore, let those who wish to be saved come to this pillar, to this foundation of truth which is the Church ... We will never spare Ourselves from any pains whatsoever ... to bring back those who are ignorant and in error to this one and only way of truth and salvation. Moreover, let all those who oppose Us remember that Heaven and earth will pass away, but that not one of Christ's words can pass away, nor can anything be changed in the doctrine which the Catholic Church has received from Jesus Christ to preserve, to protect, and to preach. O glorious St. Peter ... who wast honored by Jesus Christ with singular privileges and in particular with the leadership of the other Apostles and the primacy of the whole Church, of which thou wast made the foundation stone, do thou obtain for us the grace of a lively faith that shall not fear to profess itself openly, in its entirety and in all its manifestations, even to the shedding of blood ... Obtain for us, likewise, a sincere loyalty to our Holy Mother the Church; grant that we may ever remain most closely and sincerely united to the Roman Pontiff who is the heir of thy faith and authority: the one, true, visible head of the Catholic Church, that mystical Ark outside which there is no salvation. The Catholic Church alone is the Body of Christ, of which He is the Head and Savior ... The "People of God" and the "Mystical Body of Christ" are one and the same thing, both of them designating The Church ... Do not all those who are baptized belong to the Church? And is not the Church only one Church? Yes, but membership in the Church requires conditions other than baptism alone; it requires identical faith and unity of communion, so that ... by means of the Catholic Church alone, which is the unrestricted instrument of salvation, is it possible to obtain the fullness of means to salvation ... We must always remember ... the unity of the Mystical Body outside of which there is no salvation, for there is no entering into salvation outside the Church ... Only within the Church is an encounter with Our Father possible. The Church cannot allow any person to attempt to reach God through his own formulas or in his own fashion. The Church, and the Church alone, possesses the secret of true relationship to God as established by Jesus Christ. Indeed, the Church is this very relationship, which is both a certain and an exclusive means of attaining salvation ... Truth, grace, the Sacraments: all the certain norms for our journey to God come from the Church ... Let us fix our attention on the reality which we are anxious to make shine forth in our souls ... The Church is the continuation of Christ in time and His extension on earth ... He is the Vine, we are the branches. Note how many times ... the Lord commands us to "abide in Him" (John 15:4) as an indispensable necessity, a necessity which cannot be denied ... He is our Head, we are the members of His Body, the Church ... Outside this Body, the Holy Spirit does not give life to anyone ... Those who are enemies to unity do not participate in the charity of Divine Life; those outside the Church do not possess the Holy Spirit ... A Christian must be afraid of nothing so much as to be separated from the Body of Christ. If he is separated from His Body, he is not one of His members, he is not fed by His Spirit ... Reflect on the necessity of being duly inserted into the ... Body of the Church, proclaimed here as the condition of enjoying the life of the Holy Spirit which is proper to the Body of the Church, the Mystical Body of Christ ... No one can reach the Father except through Thy Church, O Jesus, because Thou hast so willed it ... O Lord, our Father and omnipotent God, no one can reach Thee except through the Church of Jesus ... The entrance to salvation is open to no one outside the Church! The Church alone is the entrance to salvation. This is the order of God: salvation is to be found nowhere but in the Church. By means of religious indifference, crafty men deceitfully pretend that people can attain eternal salvation in the practice of any religion, as though there could be any fellowship of light with darkness. 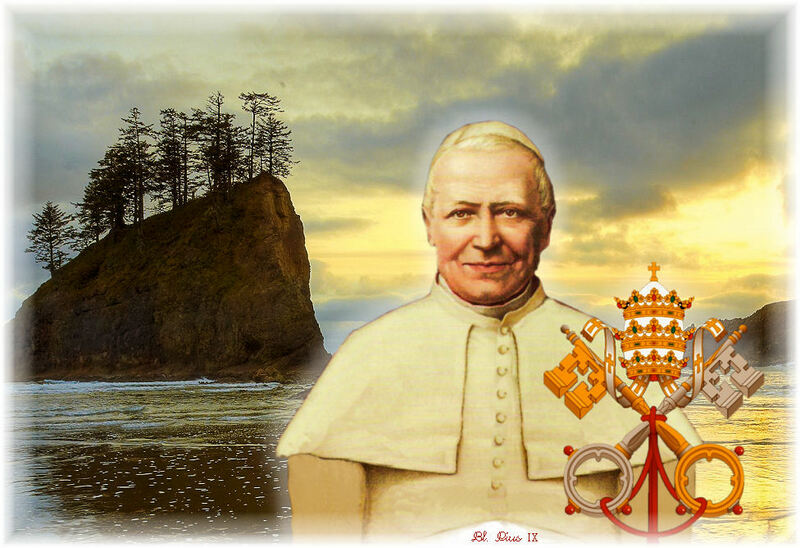 These men conclude that not only sons of the Church but also others, however estranged they may remain from Catholic unity, are equally on the road to salvation and are able to achieve everlasting life. Words fail Us from utter horror in detesting and abhorring this new and terrible insult! Therefore, it would be proper for you to speak about the Holy, Roman, and Apostolic Church with moderation and with no vehemence against her, for Our Lord Jesus Christ Himself, addressing her as was fitting, said: "Thou art Peter, and upon this rock will I build My Church, and the gates of Hell shall not prevail against it; and I will give unto thee the keys of the kingdom of Heaven." She thus has the power, given to her alone, of opening and closing the gates of the kingdom of Heaven to whom she will. For all of us, the kingdom of Jesus Christ is in Heaven; to enter into it, we need the keys. When it is a question of this life and salvation, we must say of the Church what St. Peter said of Jesus Christ Himself: "Neither is there salvation in any other" (Acts 4:12). The mystery of salvation is revealed to us and is continued and accomplished in the Church, and from this genuine and single source ... it reaches the whole world. Dear young people, and members of the faithful ... we have to be conscious of and absorb this fundamental and revealed truth, contained in the phrase consecrated by tradition: There is no salvation outside the Church. From her alone there flows surely and fully the life-giving force destined, in Christ and in His Spirit, to renew the whole of humanity, and therefore directing every human being to become a part of the Mystical Body of Christ. The Church is an infinite treasure to men, in such a way that those who make use of it become the friends of God. This, venerable brethren, is the doctrine of the Church which alone can offer real light and assure salvation. We are born into the Church. She communicates to us the riches of life and grace entrusted to her. She generates us by Baptism, feeds us with the Sacraments and the Word of God, prepares us for our mission, leads us to the plan of God: she is the reason for our existence as Christians. We are her children. With just pride, we call her our Mo- ther, repeating a title which has come down through the centuries from the earliest times. She must therefore be called upon, respected, and served; for no one can have God for his Father if he does not have the Church for his Mother. One cannot love Christ without loving the Church Christ loves. The spirit of the Church is the spirit of Christ, and to the extent to which one loves the Church of Christ does he possess the Holy Spirit. The Catholic Church prays and invites the faithful to pray to Almighty God that all those who have left the Holy Roman Church may be converted to the true faith, that they may abjure their errors, and that they may return in grace to her fold outside which there is no salvation. Preach the true Catholic faith; he who does not keep it whole and without error will undoubtedly be lost ... Encourage union with the Catholic Church, for he who is separated from her will not have life. The hypostatic union of Christ ... brings back and, puts before us the image of that unity by which our Redeemer willed His Mystical Body, the Church, to be distinguished as one body "fully compacted and joined together" (Ephesians 4:16). If the personal unity of Christ exists as the mysterious exemplar with which He wishes the structure of Christian society to conform, everyone can see that this certainly cannot result from a factitious combination of discordances, but only from one hierarchy, one teaching body, one rule of belief, one Christian faith ... Now, more than ever, all good men should unite in professing one and the same sincere faith in Jesus Christ and in His Mystical Spouse the Church; especially when everywhere so many men strive to throw off the yoke of Christ, to spurn the light of His doctrine, to shut off the channels of His grace, and to repudiate the Divine authority of Him Who is the One "under Heaven given to men whereby we must be saved" (Acts 4:12). The Fathers teach that the Divine Redeemer constitutes only one mystical person with His communal Body, or even, as St. Augustine asserts, "The Whole Christ" ... The Church is established as the fulness and completion of the Redeemer, Christ in a certain manner truly being brought to a complete fulfillment in the Church ... The Mystical Head, Christ, and the Church which on this very earth represents Him just like another Christ constitute one new man: Christ, Head and Body: The Whole Christ. Do you comprehend the grace of God, our Head? We have become Christ. For is He is the Head, we are the members: Christ and the Church. Oh, it is neither pride nor presumption, but a brilliant certitude and a joyous conviction that we are indeed living members of the Body of Christ! That the Mystical Body of Christ and the Catholic Church in communion with Rome are one and the same thing, is a doctrine based on Revealed Truth ... That we must necessarily belong to the true Church if we are to attain everlasting salvation is a statement which some people reduce to ! a meaningless formula. It is impossible to be joined to God except through Jesus Christ; it is impossible to be united to Christ except in and through the Church which is His Mystical Body. Those who acknowledge Christ must acknowledge Him completely and entirely. The Head is the Only-begotten Son of God; the Body is His Church. All who dissent from the Scriptures concerning Christ are not in the Church, and all who agree with the Scriptures concerning the Head but who do not communicate in the unity of the Church are not in the Church. They can in no way be counted among the children of God unless they take Jesus Christ as their Brother and, at the same time, the Church as their Mother ... Consequently, all who wish to reach salvation outside the Church are mistaken as to the way and are engaged in a futile effort ... Christianity is, in fact, incarnate in the Catholic Church; it is identified with that perfect and spiritual society which is the Mystical Body of Jesus Christ and has for its visible head the Roman Pontiff ... This is Our last lesson to you: receive it, engrave it upon your minds, all of you: by God's commandment salvation is to be found nowhere but in the Church. The most Holy Roman Church believes, professes, and teaches that none of those who are not within the Catholic Church, not only pagans, but also Jews and heretics and schismatics, can ever have a share in eternal life, but that they will go into the everlasting fire prepared for the devil and his Angels unless before death they shall have entered into that Church; and that so important is the unity of this ecclesiastical body that only those abiding within this unity can profit from the Sacraments of the Church unto salvation, and that they alone can receive an eternal reward for their fasts, their almsgiving, their other works of Christian piety and duties of a Christian soldier. No one, let his almsgiving be as great as it may be, no one, even if he pour out his blood for the name of Christ, can be saved unless he abide within the bosom and unith of the Catholic Church. The holy universal Church teaches that God cannot truly be adored except within its fold; she affirms that all those who are separated from her will not be saved. He who is separated from the Catholic Church will not have life. He who is separated from the body of the Catholic Church, however praiseworthy his conduct may seem otherwise, will never enjoy eternal life, and the wrath of God remains on him by reason of the crime of which he is guilty in living separated from Christ ... All those who are separated from the holy universal Church will not be saved. Heretics, like so many withered branches wrenched from the Divine stock, can no longer draw the sap of life nor bear its fruits. Christians, when interrogated, must answer that those who die as infidels are damned. Therefore, if you fear to leave this Catholic unity outside which there is no salvation, beware of the artifices and subtleties of heretics. He will not have God as Father who is unwilling to have the Church as Mother. Those who have been detected, even by slight proof, to have deviated from the doctrine of the Catholic religion ought to fall under the classification of heretic and under the sentences operating against heretics. The Holy Church has been built on a rock: that is, upon Christ and upon Peter ... It was thus built because it was never to be conquered by the gates of Hell, that is, by heretical opinions which lead the unwary to destruction. Not one man of those traveling outside the faith of the Church and outside obedience to the Pontiff of the Romans can finally be saved ... All those who set themselves up against the faith of the Roman Church and who die in final impenitence will be damned and descend into the perpetual torments of Hell. "Upon this rock I will build My Church, and the gates of Hell shall not prevail against it" (Matthew 16:18) ... These words are the words of life and just as they raise up to Heaven those who confess them, so do they plunge down into Hell those who deny them. Dear children, thus far We have told you with what anxiety We are moved by the errors which certain men are trying to sow among you, and by the dissensions which are being aroused. Our intention is that, enlightened and strengthened by the encouragement of your common Father, you may remain steadfast and without blemish in that faith by which we are united, and by which alone we shall obtain salvation ...Whoever does not preserve this unity does not preserve the law of God, does not preserve the faith of the Father and the Son, and does not have life and salvation. Those who refuse to enter the Church, or those who leave it, are deprived of Heavenly Life and are forever separated from it. Churches unhappily cut off from the Apostolic See would wither like the branch cut off from the vine, and could not produce fruits of salvation. The Catholic Church prays ... to Almighty God that all those who have left the Holy Roman Church may be converted to the true faith, abjure their errors, and return in grace to her fold, outside of which there is no salvation. He who gathers not with the Church scatters and gathers not, and he who labors not with the Church most assuredly struggles against God ... The Church of Christ, therefore, is the only and ever-enduring Church; and all who depart from it depart from the will and command of Christ the Lord. They have left the path of salvation and are headed toward destruction. O Mary, Mother of Mercy and Refuge of Sinners! We beseech thee to look with pitying eyes on poor heretics and schismatics. Do thou, who art the Seat of Wisdom, enlighten the minds wretchedly enfolded in the darkness of ignorance and sin, that they may clearly recognize the Holy, Catholic, Apostolic, Roman Church to be the only true Church of Jesus Christ, outside of which neither sanctity nor salvation can be found. Call them to the unity of the one fold, granting them the grace to believe every truth of our holy faith and to submit themselves to the Supreme Roman Pontiff, the Vicar of Jesus Christ on earth, that, thus being united with us by the sweet. chains of divine charity, there may soon be but one fold under one and the same Shepherd; and may we all thus, O Glorious Virgin, exultantly sing forever: "Rejoice, O Virgin Mary! Thou alone hast destroyed all heresies in the whole world!" Amen. 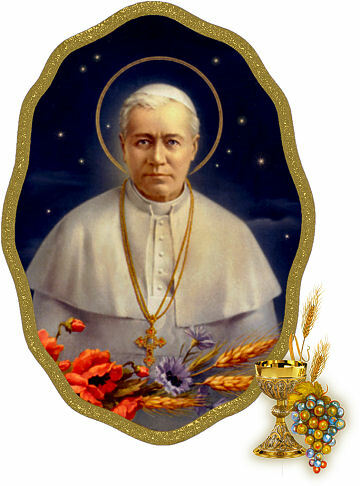 We must first turn Our attention towards that faith without which it is impossible to please God ... For, in fact, you know as well as We ... with what constancy our Fathers endeavored to inculcate this Article of Faith which innovators dare to deny; namely: the necessity of the Catholic faith and Catholic unity to obtain salvation. No one can be saved without the faith of the Catholic Church. The truths of the faith are indispensable for everyone. Unless a man keeps this faith whole and entire, he shall indubitably be lost. Ven. Whoever wishes to be saved needs, above everything else, to hold the Catholic faith. Unless each one preserves this faith whole and inviolate he will perish in eternity, without a doubt. The law of prayer determines the law of belief ... for the whole Church prays that unbelievers may receive the faith. God's providence has given men no more excellent gift than the authority of the Divine faith ... This faith is like a guiding beacon-light in the darkness ... for us to follow towards life. Whoever is led away from the path of the true faith and changed into another faith, his whole journey is an apostasy; and the farther he travels from the Catholic light, the nearer he comes to the darkness of death ... for one is the faith which sanctifies the Just of all ages. No one can depart from the teaching of Catholic truth without loss of faith and salvation. And we also, having been called through His will in Christ Jesus, are not justified by ourselves nor by our own wisdom or understanding or piety, nor by the works which we have done in holiness of heart, but through the faith by which Almighty God has justified all men from the beginning. The vigilance and pastoral solicitude of the Roman Pontiff ... are principally and above all manifested in maintaining and conserving the unity and integrity of the Catholic faith, without which it is impossible to please God. No one can be saved outside this true Catholic faith. He who does not keep the Catholic faith whole and entire will undoubtedly be lost. Moreover, when the Only-begotten Son of God commanded His ministers to teach all nations, He at that time bound all men with the duty to believe what was announced to them by these "witnesses pre-ordained of God" (Acts 10:41). He attached to His command the sanction: "He who believes and is baptized shall be saved; but he who does not believe shall be condemned" (Mark 16:16). Now, this double commandment of Christ must be observed in order to attain eternal salvation. Faith is absolutely necessary for salvation ... for he who does not believe shall be condemned. It will be especially fitting to remember this firm dogma of our religion: that outside the true Catholic faith no one can be saved. I promise, vow, and swear that, with God's help, I shall most constantly hold and profess this true Catholic faith, outside which no one can be saved. Persist in the true faith and ground your life on the rock of the Church, lest your many tears and good works avail you nothing separated from the true faith. For as the branches wither without a root, so works, however good they may seem, are nothing if separated from the solidarity of the faith. Let them condemn the authors of their proud error by their own clear confessions, and let them hate in their previous doctrine whatsoever the universal Church has abhorred. O God, everlasting Creator of all things, remember that the souls of unbelievers were made by Thee and formed in Thine Own image and likeness. Remember that Thy Son Jesus endured a most bitter death for their salvation. Permit not, O Lord, that Thy Son should any longer be despised by unbelievers ... Forget their idolatry and unbelief, and grant that they too may some day know Him Whom Thou hast sent, the very Lord Jesus Christ, Who is our Salvation, our Life and Resurrection, by Whom we have been saved and delivered, to Whom be glory for endless ages. Amen. The ancient enemy of man, therefore, swallowed up the human race, because from the beginning of the world until the coming of the Redeemer he dragged mankind down into the maw of his own iniquity, the few Elect escaping. Rightly, then ... does he consider it as nothing when he snatches up the unbelieving ... or he has overcome everyone who has not believed from the beginning of the world. We can no more pray for a deceased infidel than we can for the devil, since they are condemned to the same eternal and irrevocable damnation. Those who die as infidels are damned. Every spirit that does not confess Jesus is anti-God. I declare anathema every heresy. If anyone in accord with Us and likewise with the faith does not with mind and lips reject and anathematize all the abominable heretics together with their impious writings, even to the single least portion ... and anathematize all who are condemned and cast out by the Catholic Church, whose teachings are the fruit of diabolical operation, and those who unto the end have obstinately suggested ideas similar, or who do suggest them, or who are believed to suggest them ... if anyone, therefore, does not in agreement with Us reject and anathematize all impious teachings of heresy and everything wickedly written by anyone in defense of them ... Let such a person be condemned. If anyone reads the Scriptures ... or whatsoever writings of the heretics ... which they have devised in agreement with their own error, or if anyone follows or defends their impious creations: let him be anathema. Hypocrites! As long as they seek falsely, they shall never merit to find the Lord. Therefore, let the blind and foolish subtlety of heretical impiety be despised ... Whosoever continues in heresy is unpardonable, for he has cut himself off from Him through Whom he could have confessed God. Nor can he ever attain the remedy of forgiveness who no longer has an Advocate to intercede for him ... They are falling into that blasphemy which shall never be forgiven, neither in this world nor in the Judgment to come. Protestantism is the Great Revolt against God.